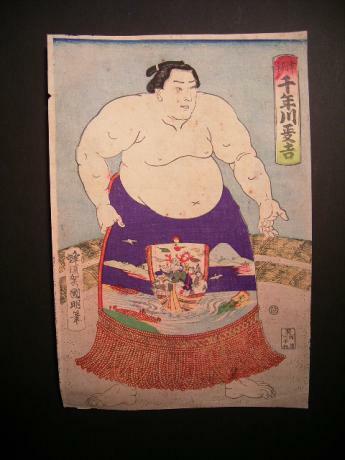 Description: Japanese Meiji Period woodblock print of sumo by KUNIAKI. 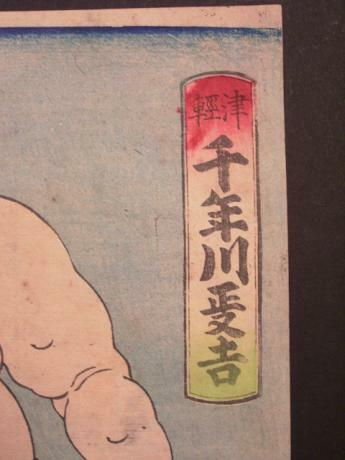 The sumo is Chitosegawa from Tsugaru. 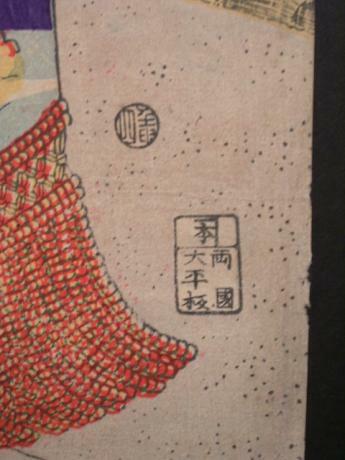 Stamped by artist in lower left hand corner. 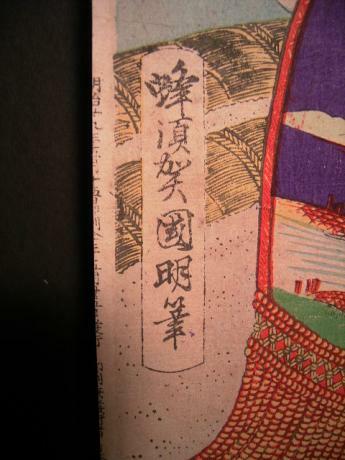 Dated Meiji 15, 1872. 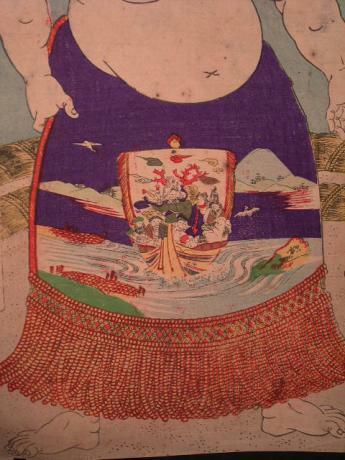 The print measures 9 3/8" wide by 13 3/4" tall.